Paul Newman- since 1969 was a street racer jacket wearing member of the Brotherhood of Street Racer. He use to street race a Volkswagen that was powered by a Small Block Chevy in Connecticut , then he went gun ho racing after the movie �Winning�. He won the Long Beach Grand Prix 5 times. Big Willie and Tomiko met Paul Newman in 1969 while he was filming a movie at Paramount Studios in Hollywood California about a New Orleans radio station. Councilman Bradley, soon to be Mayor Bradley, introduced them to Mr. Newman. 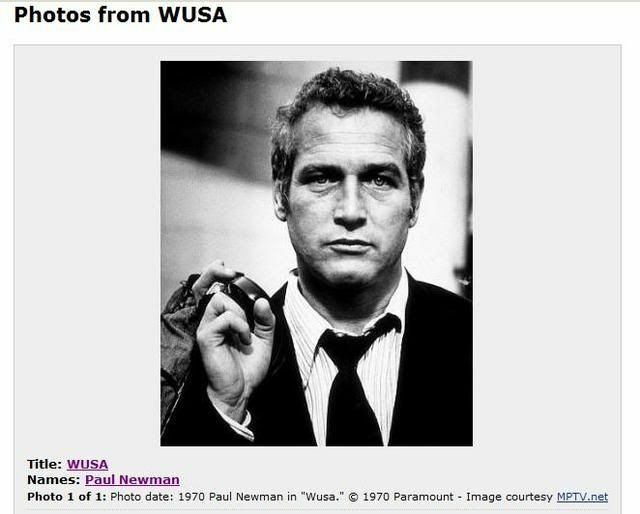 That movie was called WUSA, the call letters to a radio station that the movie was about. Toward the end of the movie there was a big fight scene and Paul Newman asked Big Willie and Tomiko to be in the movie along with Brotherhood of Street Racer members in the big fight scene. Thousands of street racer members showed up and had a good time turning over cars and brawling with each other. The actor Tony Perkins bumps into Tomiko in the movie and says �excuse me�. This was the first of many movies Big Willie and Tomiko would appear in. Big Willie was upset over the news of Paul Newman�s passing. May he rest in peace. Now that Tomiko is in heaven, she said to Paul Newman �welcome home�.